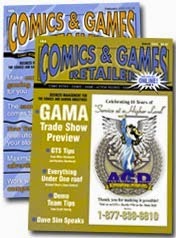 Kleefeld on Comics: On Business: Need to Keep Up! Being the week of Thanksgiving here in the U.S., it seems mandatory for any discussion on business to be about Black Friday. The phrase, as it pertains to shopping on the day after Thanksgiving, originated in the mid-1950s where traffic got very bad and traffic cops and bus drivers began using "Black Friday" to connote the horrible experiences they had. The "black" was more a reference to mourning and depression than anything else. Merchants originally tried renaming the days after Thanksgiving as "Big Friday" and "Big Saturday" but had little success. It wasn't until the early 1980s that they began to co-opt the phrase to suggest the "black" referred to the accounting practice of using black ink for positive revenues. (As opposed to red ink for negative ones.) Fortunately (from the merchants' perspective) the phrase hadn't become really nationalized yet; a 1985 article in The Philadelphia Inquirer noted that it hadn't been picked up yet in Cincinnati or Los Angeles. I believe it was around this time, as well, that business people began taking note of the fact that Toys R Us made a substantial portion of their yearly profits in December, further emphasizing the retail focus of Black Friday instead of the traffic congestion. So while the basic concept behind Black Friday has been around for over half a century, it's really only been known as Black Friday for the most recent generation. Which, as many of you will note, is the same generation who grew up with comic books being essentially only available in specialty shops fed by comics' direct market system. What that means is that for nearly the entirety of the existence of dedicated comics retailer shops, people have not been shopping there on the biggest shopping day of the year. They're looking for sales and bargains, and are hitting the stores where those deals are advertised. Your Targets, Walmarts, Kmarts, etc. In the past few years, there's been a bit more support for shopping at local businesses on Black Friday, and I know I've seen some comics retailers promote this angle. Generally in more recent years than we've had "Cyber Monday" as a thing. Where I'm going with all this is that the comics retail landscape has changed dramatically in the past several years. There was a radical shift when the direct market first came about, but things remained relatively stable afterwards. There was a slow trickling away from the newsstand model, but not so much as anyone really cared to worry about. But the past few years have seen things disrupted by not only digital sales generally, but some near-seizmic shifts in the overall shopping arena. How a retailer might expect to survive in that kind of a market without keeping abreast of how things are changing is beyond me. And yet I still continue to see retailer after retailer just doing the same ol' thing they've always done. With no real sales or promotions, no noticeable attempts to lure in customers on Black Friday, nothing they might not do on any other given Friday. Not all comics retailers are like this, of course, but I'm just continually floored to see people -- even the ones who don't seem to have business background and/or sense -- miss out on huge shifts like we've seen in recent years.